Source: Sanders, T. E. (1908). Twenty Talks to Teachers. The Teachers Co–Operative Company. A preface to the book. Chapter 1: "Am I Fit to Teach?" A chapter of guidance for the young teacher with self-doubt. Chapter 2: "Shall Teaching Be My Life Work"
Evaluating whether teaching will be just a job or a lifetime career. How the young teacher can go about finding a job as a teacher. How teachers, both young and old, can prepare for the formal examination. The mis-steps a young teacher can avoid while developing their own confident style of teaching. Evaluating a schools course of study and a subject criteria for improving it. A list and description of possible exercises that can be used to catch the attention of your students at the beginning of the school day. How the attitude of the teacher can affect the behavior of the students and the overall atmosphere of the classroom. How teachers can expand their knowledge base through the reading of many different literary sources. How the teacher's presence in the and involvement in the community is as important as their role in the classroom. How the teacher can create an environment in the classroom that allows for the most effective teaching. Methods for maintaining a tidy classroom throughout the school term. Chapter 13: What Makes a Good School? The many different ways in which a teacher can judge the overall quality of a school. Ten habits to avoid in order to efficiently teach your students. A list of the reasons for and benefits of having a child take high school classes. Different and effective methods for instructing students in subject of spelling. Different and effective methods for instructing students in subject of arithmetic. Different and effective methods for instructing students in subject of literature. The many ways to spend the break following the end of the school term. How the teachers attitude and viewpoint can affect their students. Sanders, Thomas E.. Twenty Talks to Teachers. Lit2Go Edition. 1908. Web. 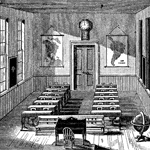 <https://etc.usf.edu/lit2go/82/twenty-talks-to-teachers/>. April 23, 2019. Thomas E. Sanders, Twenty Talks to Teachers, Li2Go edition, (1908), accessed April 23, 2019, https://etc.usf.edu/lit2go/82/twenty-talks-to-teachers/.